Finals footy is coming, and you can profit from it. 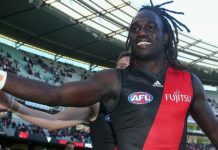 With just over a month left in both the AFL and NRL regular seasons and plenty of clubs still in contention to feature in September, there is plenty of action to come. It’s been a very successful season to date for our footy analysts across both the AFL and NRL, but they’re certainly not done yet. Not by a long way. AFL Tips analysts Daniel and Stephen have profited $3,700 so far in 2018 but that figure is set to grow with their pre-season Futures bets looking to be in a very strong position to score. Carlton have been abysmal this year and sit last with a solitary win to date, which is fantastic news for members who took the $6 about them to record the least wins in 2018. The Blues are now into $1.06 favourite in that market. The boys also predicted Port Adelaide and Melbourne to be big improvers this year, taking the Power to win the flag ($9) and the Dees to make the top four ($4). Both bets are certainly in the mix, with the Melbourne play more likely to produce a collect at this stage. After three years of profit totalling $15,500, the AFL Tips boys are looking great to significantly add to that and make it four straight winning seasons. The AFL Specials team, led by Brett, has enjoyed a magnificent season to date focusing on player prop and team-based markets. Members have enjoyed a massive $7,700 profit through 17 rounds to date, and with two bets in every game there is plenty of time to double the bank and hit $10,000 profit by season’s end. 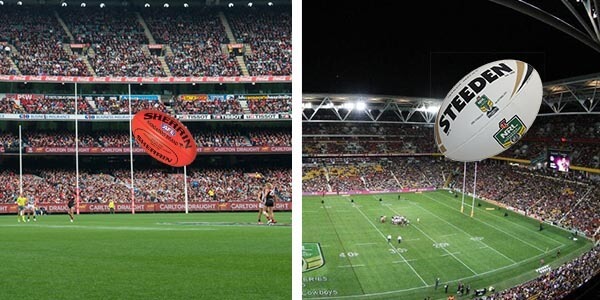 NRL Tips guru Steve Green is also enjoying a strong campaign, making $2,200 profit so far. This is looking set to be Steve’s third straight year in profit since joining Champion Bets as well, making over $6,000 profit across the 2016 and 2017 seasons. NRL Tips members also have some Futures bets well and truly in play on the Dragons to finish top four ($4.50) and to win the flag ($21), as well as Gareth Widdop to top the point-scoring charts ($12). The latter has now come into $2.40 favourite as he currently holds a 21 point lead over his nearest rival. With just six weeks left plus finals for both codes, we’ve got a very special offer to help you finish the footy season on a high. Take up all three of our profitable footy memberships for the remainder of the season for just $349. That’s three memberships that have made a combined $13,500+ profit so far in the 2018 season, for two and a half months, at just over $115 each. Start winning on the footy this weekend and finish 2018 on a high.